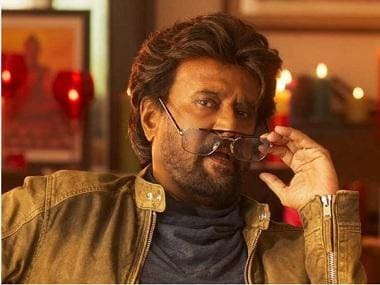 Saudi Arabia is all set to re-open its cinema halls from this March and if all goes according to the plan, Rajinikanth starrer 2.0 will be released there. Hindustan Times reports 2.0 could be the first major south Indian movie to launch in the Saudi Arabian market. The mega budget sci-fi movie is expected to release in Hindi, Tamil and Telugu. The Saudi Arabian government had shut down all of its cinema halls in the 1980s and since then no movies have released in that country. And now with the Saudi government deciding to throw open their cinema halls from March 2018, the makers of 2.0 are actually leaving no stone unturned in releasing the magnum opus there. Directed by Shankar, 2.0 will be the sequel to the 2010 blockbuster Enthiran, which had Rajinikanth in the lead role and Aishwarya Rai Bachchan as the heroine. In 2.0, Akshay Kumar will play the antagonist and Amy Jackson will be seen as Rajinikanth’s love-interest. AR Rahman is in charge of composing music for the film with Nirav Shah cranking the camera and Anthony editing it. Tipped to be of the most expensive movies India has ever seen, it is produced by A Subhashkaran under his banner Lyca Productions on a budget of Rs 450 crores. The film was scheduled to hit the screens during the Republic Day weekend but its release was pushed to the Tamil New Year on 15 April.